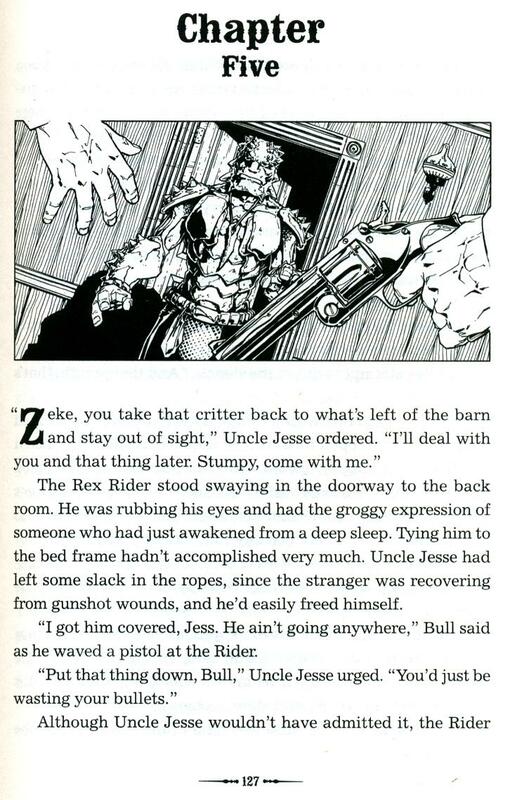 Just when we thought Jim Calafiore’s Rex Riders illustrations couldn’t look any better, we received this preliminary color version of the opening panel from the Prologue. WOW! Way to make those dinosaurs come alive! 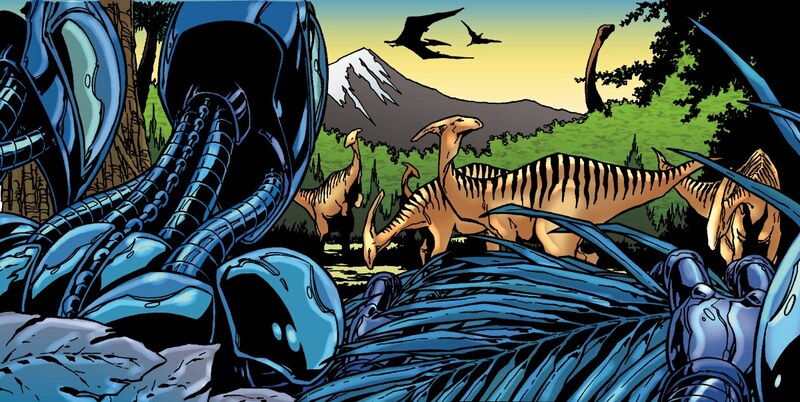 That’s a parasaurolophus herd in the clearing, if you’re keeping count, with some pteronadons flying overhead. Why is it being colored? 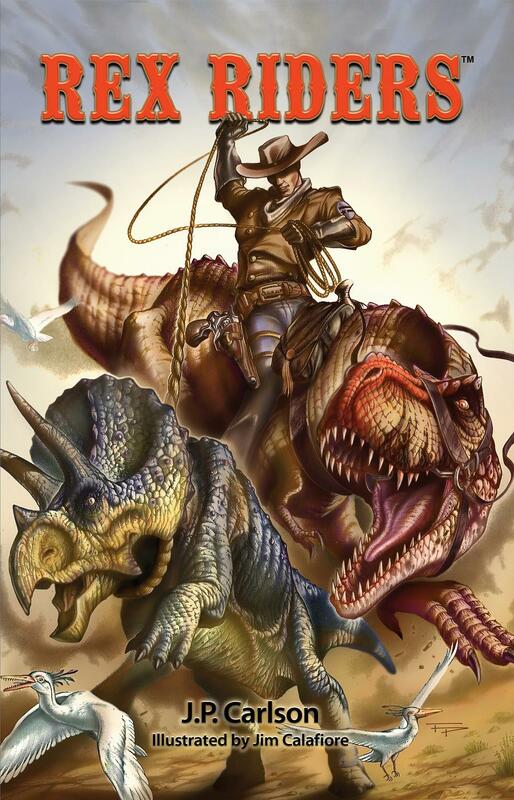 Well, we’ve been sworn to secrecy by author JP Carlson on the possibilities of Rex Riders’ dominating the universe. Loose lips sink ships – and they might have killed off the dinosaurs 165 million years ago! So sssshhhhhhh……..
Whatever the future holds, we don’t think JP will mind if we share this color artwork with you for now. Enjoy! We sure did! We shared a few of our favorite Rex Riders moments with you this summer in a Rex Riders Gallery. Meanwhile… Ride your own Rex over to Amazon and score REX RIDERS today! 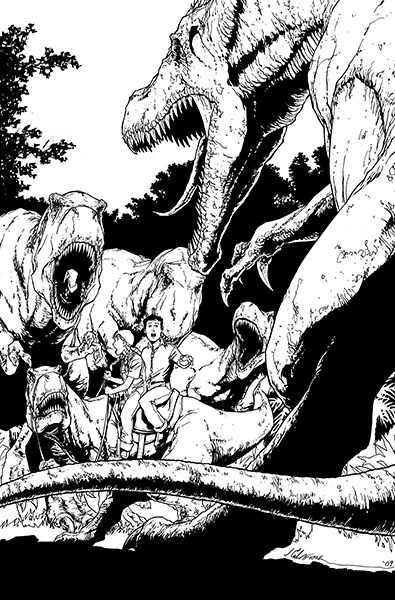 You might also enjoy our ever-expanding Dinosaur Comics Gallery. 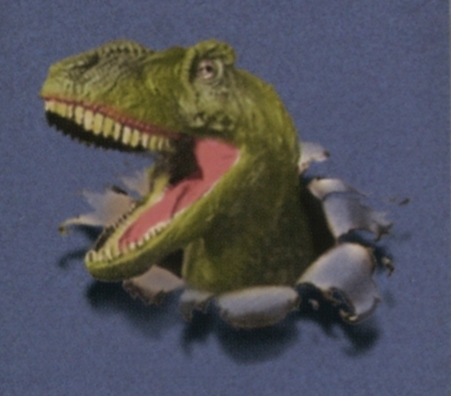 Hamburgers Made Out Of Dinosaurs! 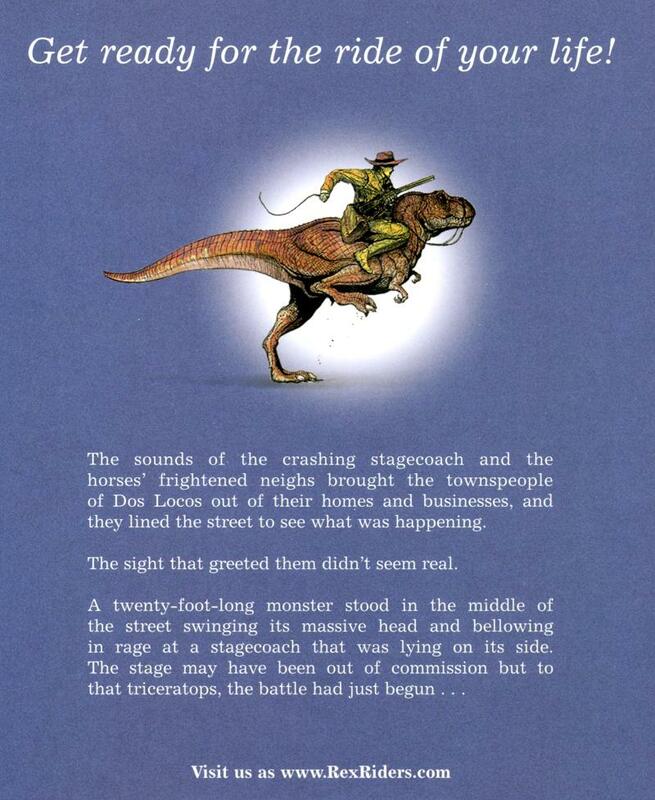 Rex Riders exploded into bookstores on June 21 like a stampeding herd of triceratops! Did you say you needed aliens with your dinosaurs? No Problem! Bullwhip fights on the frontier? You Got It! 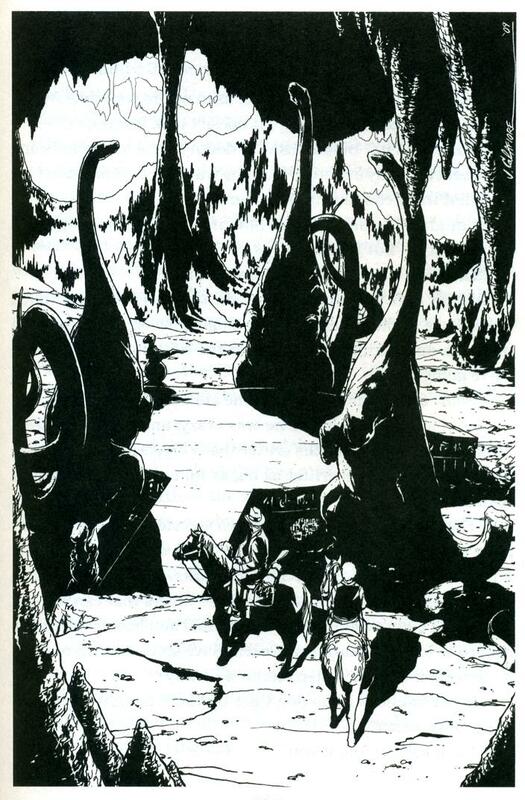 How about a gigantic platform with four carved apatosaurs waiting in a secret cave to teleport you to another planet? A planet of jungle and roaming carnivore packs from our own distant past? Coming right up! 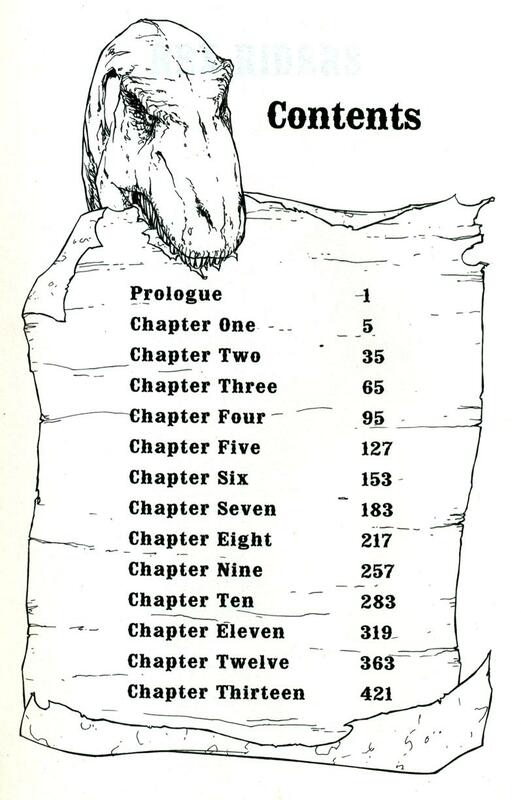 JP Carlson crafted a 430-page adventure just for you. He even throws in a barn infested with giant flesh-eating beetles that fly. If that doesn’t sound like a good time to you, you’re at the wrong web site! 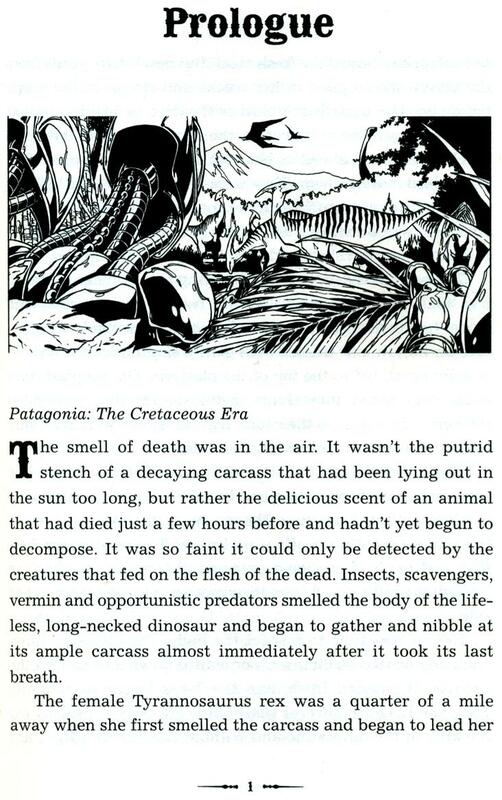 We preview a page of the text below, along with stunning illustrations from Jim Calafiore, and the amygdala-annihilating cover artwork of Fabio Pastori. Today’s cover art bonus includes JP’s bio, too! We share a few more of our favorite Rex Riders moments with you this summer in a Rex Riders Gallery. 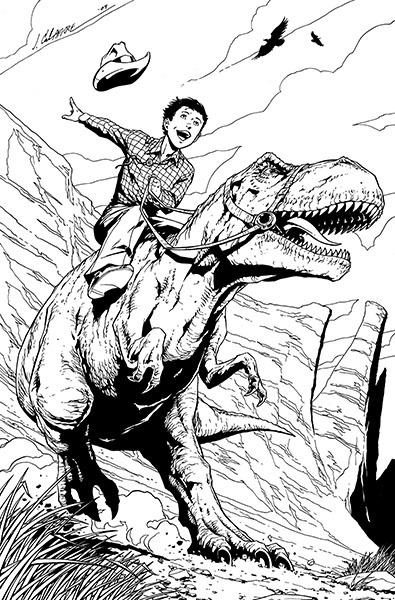 Meanwhile, Ride your own Rex right over to Amazon and score REX RIDERS today! 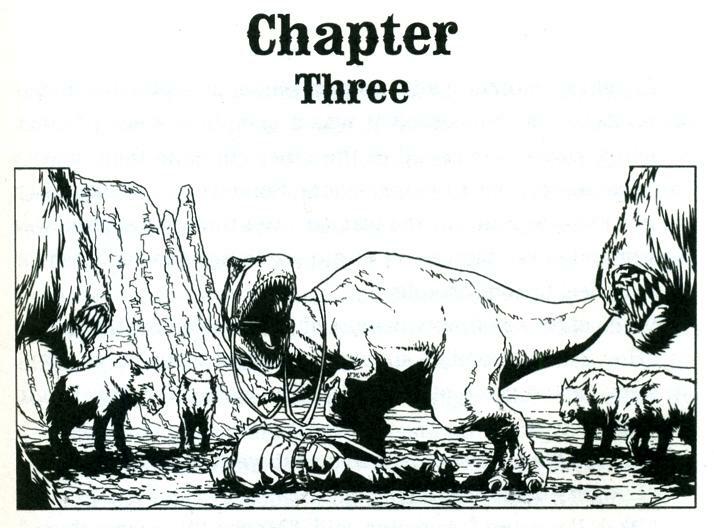 You might also enjoy our complete Dinosaur Comics Gallery. 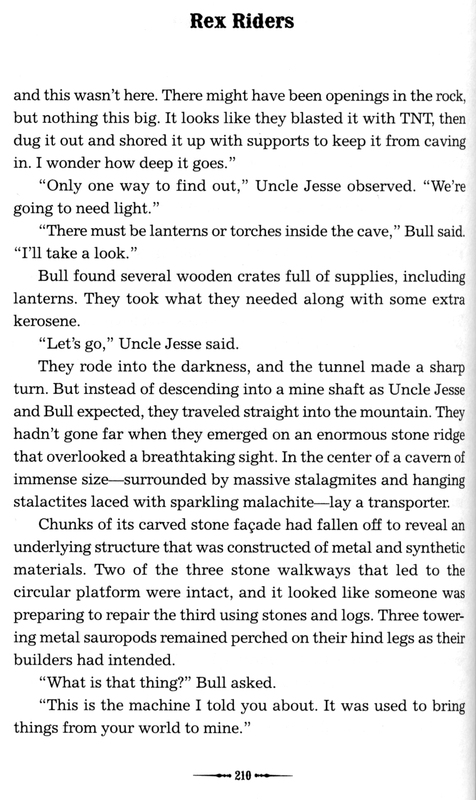 In the Center of a Cavern of Immense Size Lay a Transporter! We preview a page of the text below, along with stunning illustrations from Jim Calafiore. We share a few of our favorite Rex Riders moments with you this summer in a Rex Riders Gallery. Meanwhile, Ride your own Rex right over to Amazon and score REX RIDERS today! They Were Willing To Challenge The Dinosaur! Creatures That Fed On The Flesh Of The Dead! We preview a page of the text below, along with stunning illustrations from Jim Calafiore. We share a few more of our favorite Rex Riders moments with you this summer in a Rex Riders Gallery. Meanwhile, Ride your own Rex right over to Amazon and score REX RIDERS today! 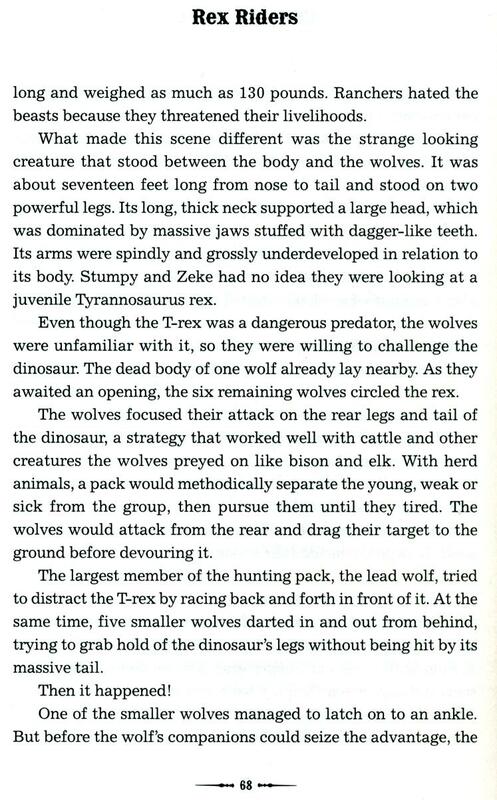 Imagine riding a juvenile T-Rex the size of a horse through a prehistoric forest; fighting off an attack by a tribe of axe-wielding marauders atop feathered raptors; being chased down a riverbed by a ferocious baryonyx; riding through a herd of stampeding triceratops . . . This is the world of REX RIDERS! The pub date is June 21, the first day of summer! JP Carlson‘s first novel is the kind of adventure story Willis O’Brien would come up with if he was around today. The illustrations are by Marvel and DC Comics’ artist Jim Calafiore. (Jim Calafiore drew our favorite Lizard story ever!) The cover is by paleo-artist extraordinaire Fabio Pastori. We’re super excited about this book! We will share more of our favorite moments with you this summer in a Rex Riders Gallery. Meanwhile, we encourage you to Ride your own Rex right over to Amazon and score REX RIDERS today! 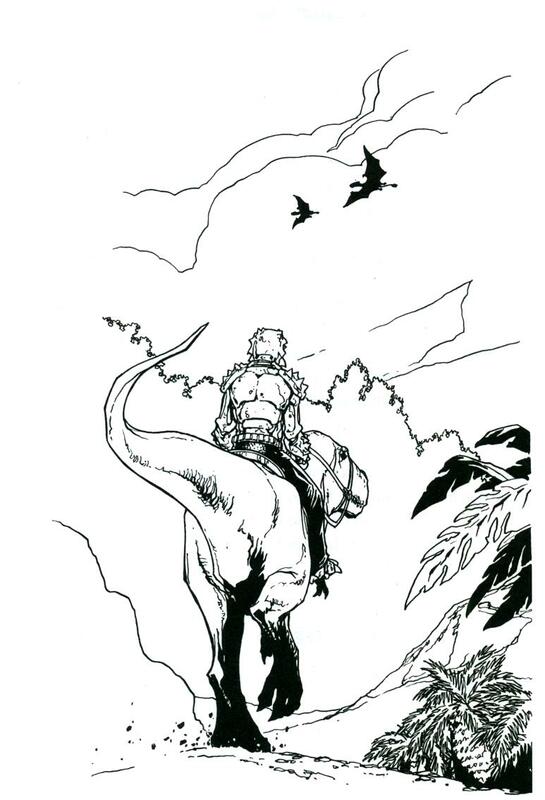 Dig these dinosaur illustrations from REX RIDERS!